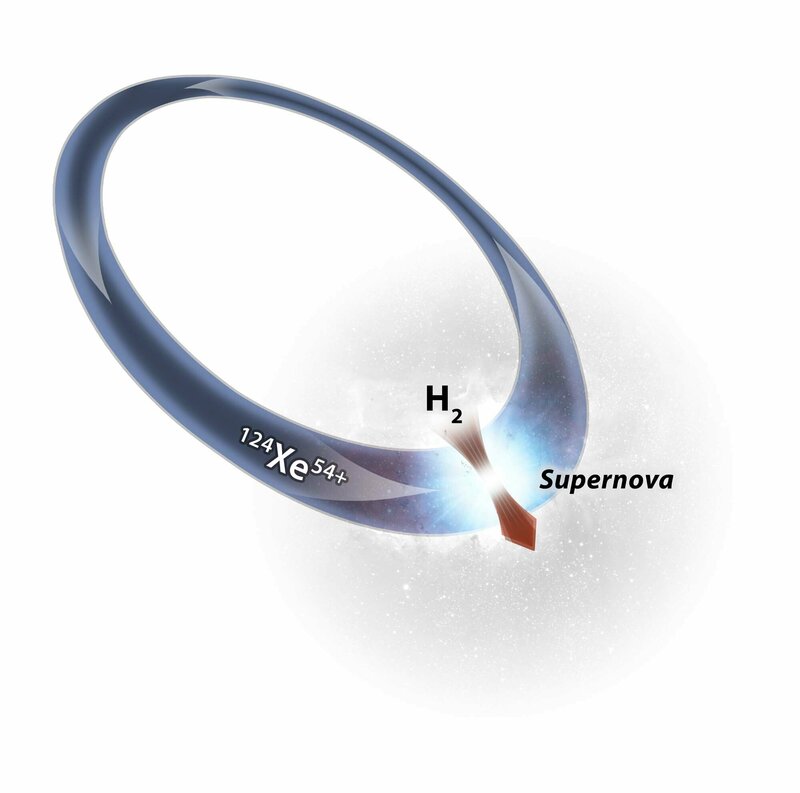 As the scientists report in the current issue of Physical Review Letters, their goal was to determine more precisely the probability for a proton capture in astrophysical scenarios. As Dr. Jan Glorius from the GSI atomic physics research department explains, they were faced with two challenges in this endeavour: "The reactions are most probable under astrophysical circumstances in an energy range called the Gamow window. In this range, nuclei tend to be somewhat slow, making them difficult to obtain in the required intensity. In addition, the cross section—the probability of proton capture—decreases rapidly with energy. Until now, it has been almost impossible to create the right conditions in a laboratory for these kinds of reactions."